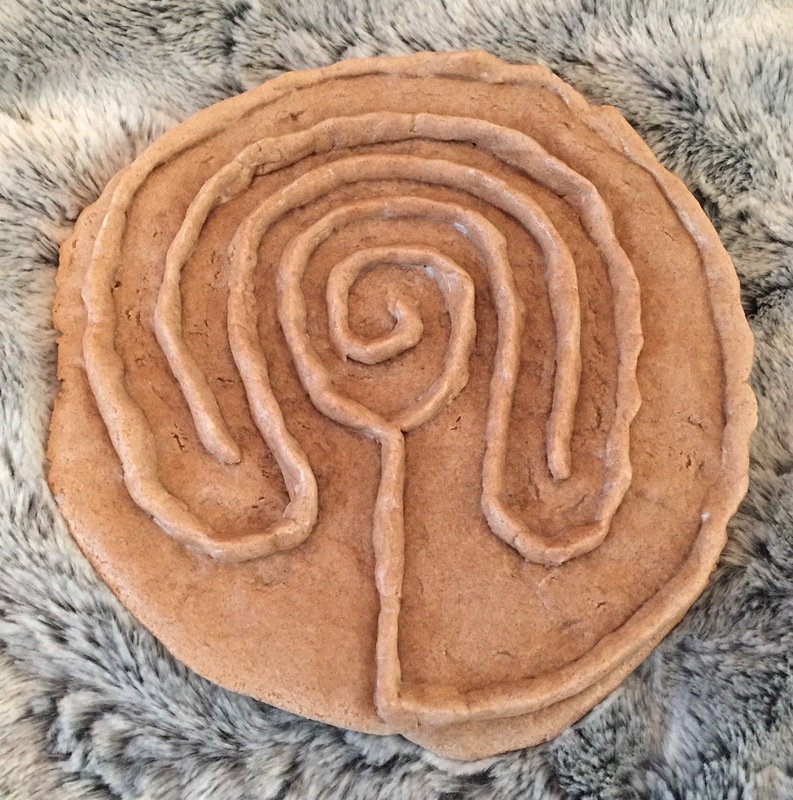 In Mindfulness in the Classroom – Using Play Dough Part 2 , we continue to explore ideas of using Play Dough to develop mindfulness in the classroom that we began in Part 1. – Give each child a small ball of dough. A good option at this point is to do a Play Dough Meditation outlined in Part 1. – Get each child to slightly flatten the ball into the palm of the hand. – They then place the slightly flattened ball on the table and press their thumb into the centre leaving a thumb sized indention. – With damp finger tips, softly smooth the edges and cracks. – Decorate as desired or leave more plain and Stone like. – Coat with a thin layer of Modge Podge or PVC Glue. Repeat. (This will seal and give a smooth surface to the worry stone. Hold the stone between the index finger and thumb and gently move your thumb back and forth across the stone. While doing this, take deep, slow belly breaths focusing on the feel of the stone in your hand and the feel of the air as you inhale and exhale. – Take a larger ball of Play Dough and flatten into a large, thin round circle on a piece of aluminium foil or wax baking paper. – Break off smaller pieces of the small ball and continue to roll out into a thin string and place on the lines drawn, applying pressure to join the dough and smooth the surfaces. – With damp finger tips, smooth all edges. – Air Dry for 3-4 days or combine OvenDry/Air Dry by oven drying for 15 minutes at 200c and then allow to air Dry for 1-2 days. – Once dried, seal with two coats of Modge Podge or thin PVC glue. –Take deep breaths to begin to relax and focus on the entrance to the labyrinth. -Place your pointer finger from your non-dominate hand on the entrance of the labyrinth. If you find this too awkward at first, use your dominate hand. However, over time, keep trying your non-dominate hand. This helps keep the mind focused on the meditation due to the challenge it presents. -Slowly trace the pattern of the labyrinth with your finger allowing your mind to clear from extra thought and focus solely on following the path of the labyrinth. -“Walk” to the centre of the labyrinth and rest momentarily, taking deep breaths observing how you are feeling. -Retrace your path out of the labyrinth. -Sit back, breathe deeply and relax. Observe how you are feeling again. Stacking stones to make towers have a very meditative quality as children concentrate to balance the stones. It gives children the opportunity to be quiet, think and focus just on what they are doing. Their silent fixed attention is fully in the moment of balancing the stones. Traditionally, natural stones would be the preferable option. 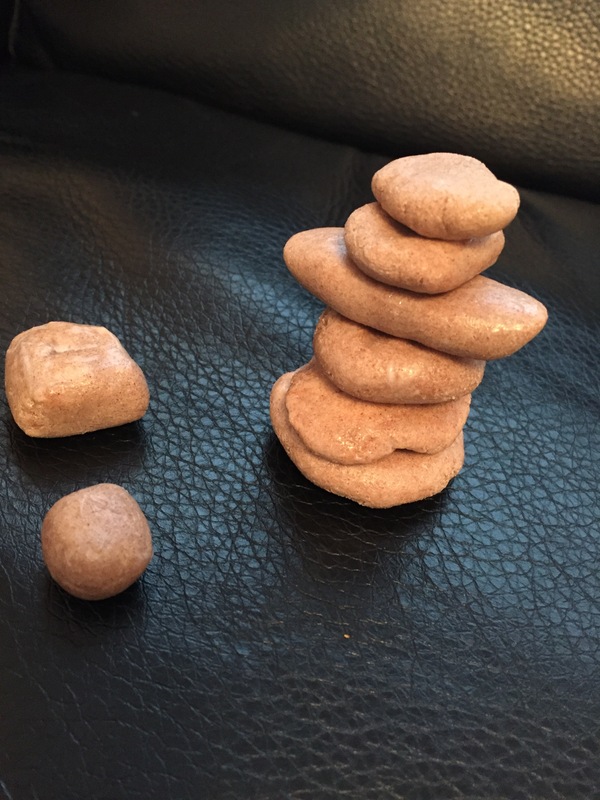 However, children will enjoy making their own “stones” and when connected to the Play Dough Meditation in Part 1 allows children to also use their own creativity. – Give each child a ball of dough. You can use a variety of colours and even swirl a few colours together. – While listening to calm meditation music, have the children make a variety of sizes and shapes. – Allow to air Dry for 3-4 days. You can seal with Modge Podge or PVC glue or leave rough. – A collection of “stones” of different sizes, ensure that a large amount have some flatness on each side. But also include a variety of colours and roundness. – Optional: a camera so the child can take a picture of their tower or paper and pencils so they can make a sketch of their finished tower. These are just a few examples of how Play Dough can be used to facilitate mindfulness in the classroom. What activities have you used that are successful? Play Dough has been known for its therapeutic properties. 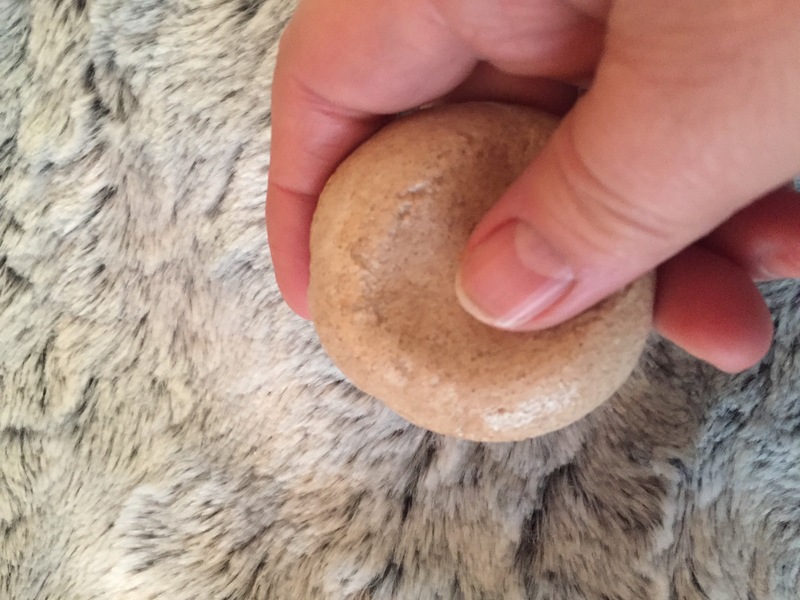 The squishing and pounding, pinching and moulding provides a Kinesthetic/ kinaesthetic learning opportunity that can be used to enhance the development of mindfulness. Over the next two posts, I will outline how to make your own play dough and ways of using the play dough in mindful practice. Mix flour, salt and water together to form a dough. If the dough is too dry add a few drops of water. If the dough is too wet, add a little bit of flour. Optional: once dough is formed add extras as desired; 2-3 drops of food colouring, 2-3 drops of essential oil or 1-2 teaspoons of fragrant spices. Keep the dough covered when not in use as it will begin to air dry. Set the scene by having all the children find a comfortable sitting position and put on some calming meditation music. Give each child a small ball of the play dough and instruct them NOT to play with it, roll it or squish it. Once everyone has their Play Doh, begin the meditation. Have them take three deep belly breaths. Instruct them to look at the Play Dough. Getting them to notice the urge to squeeze it. Is the Play Dough hot, warm or cold? How would you describe the colour of the Play Dough? Have the children move it from hand to hand. Does the shape change? Notice the smell of the Play Dough. Push a finger into the Play Dough. Can you see your finger print? What does it look like? Then instruct the children to continue to squeeze, roll and make into shapes. Remind them to concentrate only on the Play Dough, how it feels in their hands and the smell of dough. Complete the meditation by having the children take three deep, belly breaths. The word, mandala, is from the classical Indian language of Sanskrit that means “circle”. The circle is the basis of a design that has intricate geometric shapes that draws attention to the centre and inspires quiet contemplation. Roll out the ball of dough so that it makes a circle on a piece of wax/baking paper. Using the selection of seeds, beans, flowers and shells, create a design by pushing the items into the dough. I suggest that they begin with the centre and slowly continue to create circular designs working your way outwards. When finished allow to air dry for 3-4 days or oven dry at a temperature of 200c for 10-15 minutes. Watch carefully, as the dough can sometimes begin to rise. If it does, remove from the oven, using a dry dish towel, lightly press down to flatten the mandala. Allow to cool and complete air drying if required. Once the mandala is dry, cover in a coating of Modge Podge or PVC glue to seal. The mandalas can now be used as part of a Mandala Meditation. Note: Younger children may not fully grasp the circular patterns of mandalas and the designs may be more chaotic. That is fine. It is their designs. Children are to sit comfortably and take three deep belly breaths. They are to look at the mandala, focusing on the centre of the design while still breathing at a steady rate. Gently guide the children in a soft voice, letting them know it is ok for their gaze to wonder to other parts of the mandala, noticing the designs, colours and ways the lines meet each other. As the meditation comes towards the end, encourage them to focus back on the centre. In the last 30 seconds of the meditation, have the children close their eyes and get them to recreated the design in their mind, continuing even, steady breaths. Complete the meditation with three deep mindful belly breaths. For more uses of Play Dough in Mindfulness, read Part 2 coming soon.